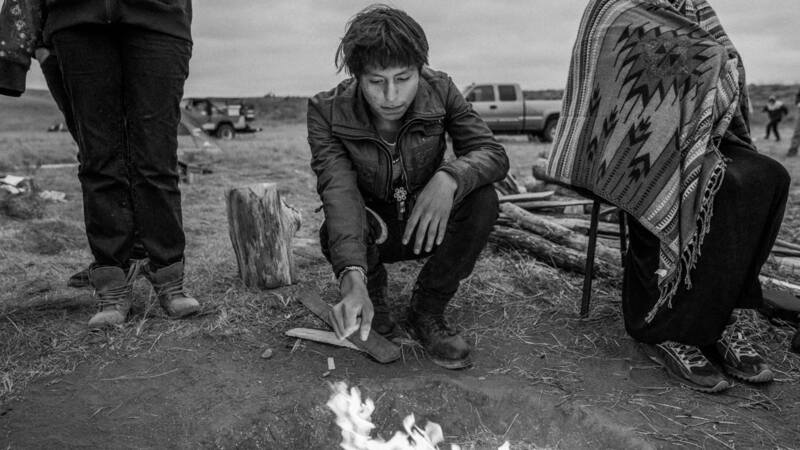 The winner of the 2018 FotoEvidence Book Award with World Press Photo is First Nation photojournalist Josué Rivas for his project Standing Strong about the spiritual awakening that occurred among the people resisting the Dakota Access pipeline. Danielle Villasana for The Light Inside, a compelling story about the struggle of trans women in Peru. Rivas’ work will be published in a hardbound book to be released this spring. For the last 5 years I have been working in Flint, Michigan on a project titled, “Flint is a place.” The project is conceived to be an immersive dive into a city that I find more layered, nuanced and important than how it’s commonly portrayed. The Flint work is comprised of portraiture, found photos and reportage and is punctuated by the intimate conversations I've had over the years with the residents. Tamara, the first trans woman I met in Lima, Peru, often told me she wasn’t going to live past 30. How could she, she’d ask, when society treats her as less than human? Like a self-fulfilling prophecy, Tamara's death this year came shortly after her 30th birthday. Through years of documenting the hardships trans women face, I’ve realized that an early death is more common than a long life. In fact, most trans women in Latin America die or are murdered before they reach 35 and the region leads the world in homicides of transgender people. Learn more about the FotoEvidence Book Award and the projects at fotoevidence.com.